Roller-skating against rival teams. Surfing in the cold Vermont snow. Creating a holographic back-up dancer only for her to gain sentience. Smell ya’ later! Ripped that goofy 540! TUNA SALAD FOR LUNCH AGAIN! MOM! How am I ever going to win the school talent show to win the $14,673 needed to save my dad’s business?! ONE NIGHT ONLY! Grad School Improv presents their very own Family Channel Original Movie! 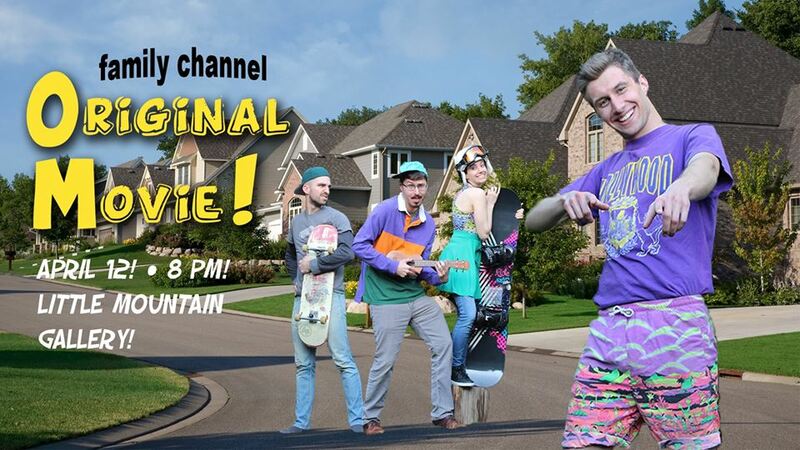 Inspired by all the crazy Family Channel and Disney Channel original movies including Brink!, Johnny Tsunami, Pixel Perfect, and The Luck of the Irish, Grad School Improv presents their 90s/early 2000s take on these made-for-TV classics!